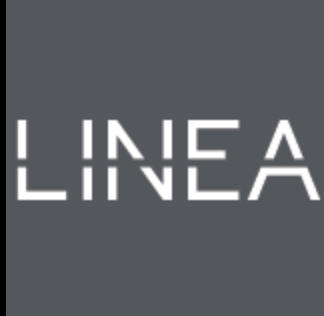 LINEA really goes above and beyond to curate a unique and enjoyable resident experience. I am fortunate to call this building my home and feel at my best when I am in my beautiful, modern apartment. The amenities provide almost endless opportunities between the gym, pool, and movie room to name a few. The neighborhood allows my girlfriend and me to be only a stones throw away from where we work. I find myself never needing to look far if I'm in the mood for good food, fun nightlife, or any activity in the city. Chicago has it all and LINEA provides an almost experience to soak in the best of all the Windy City has to offer. never have i ever had such friendly staff in an apartment building. even the maintenance team are polite! they make you feel part of a community. Very disappointed after living at LINEA , it is my worse situation got at USA in this place, I have issue with them and all staffs being together against me and so obviously they are hating me and hate to hear my issue and together agreeing and they asking me 1500 $ to pay after I moved out just because the blinds my child was playing with it but not broken any part of the blinds , after one year they want oven is to be new it is so normal to be used we are cooking by it , i even didn’t broke or damage anything , they are asking me to pay for not even damages or broken , Please I need help right now they will never understand your circumstances as first time to come America . Train is very noisy and rent is extremely expensive and they are going to charge you for everything you use it at the end of the lease, inhuman and they have unfair management. If you have any issue all staffs will never empathize with you , They will ask you a huge of money after you go out at the end of your lease, they asking me to pay for oven because get used after one year of staying isn’t normal to not being look like new oven? , they also want me to pay for 1100$ for the blinds because my child 2 years old only was playing and squeezed it , Really inhuman and heartless people, take care about them all of you residents I swear I am having bad feelings towards this kind of people, never being kind with you and never understand your situations . The people are working as management are almost being so greedy and want much money from residents by claiming that you damage or use their stuffs even I have not broke anything , they get you the worse feeling ever without any solutions . The apartment has the exact look and feel I was looking for, the matainance team is fast and amazing as is the rest of the staff, fun events happen monthly and the amenities can’t be beat! Not to mention it’s a great location. Absolute love our apartment, this building, and the amenities. Always kept clean. Staff is awesome. Rarely can hear our neighbors which is amazing especially after living in older buildings where you can hear every step! We love living here. The maintenance staff is excellent and they are always here when you need them. Linea also has the best community events. Living in the LINEA building has been incredible. The staff here are so welcoming, helpful, and efficient - the few maintenance requests you may have get taken care of within a day or less. The amenities are phenomenal and well-kept, and the building itself is gorgeous. The location is phenomenal and has almost immediate access to all CTA train lines. In short, I wake up everyday grateful to be able to live here, and go to bed each night knowing I made the right choice. Almost everything is perfect. The soundproof window has worked well so far and I like the layout of my unit. But, the chemical smell of the gym is really bad, so I cannot use the gym. The apartment is beautiful. The amenities are second to none. The location is fantastic. The overal experience is definitely top notch. I would recommend it to my friends. Very happy with Linea and all their employees. Great facilities and I love the neighbourhood! I give 5 stars and really looking forward for warmer weather to enjoy the pool and the roof top! As one of the first residents of the building, I continue to enjoy living at Linea. The location is great as is the staff. The amenities are bomb as are the almost monthly parties. beautiful ammenities, incredibly friendly staff, well kept amd very clean building. so happy with my move into Linea and my new neighborhood. Great place to live, central location and awesome staff! You get used to the train noise eventually too :) some times the staff put on some special events for the residents. Polite and kind...answered all questions. Application process was a bit confusing, as we kept receiving an error message when trying to submit. But all questions were answered by the leasing agents, and they helped us through the process. Everyone’s friendly and courteous. I’ve made a few friends in the building at the parties they throw for us which has been great fun. The amenities are awesome. Love it the privacy indoor parking love the gym and the over all setting. the leasing department was amazing! the apartment is great and very comfortable !!! We are so lucky to have found Linea. The location and amenities are amazing, the in-unit appliances are top-notch, and the people are so friendly. The views and industrial, modern style makes us really feel like we’re in the heart of the city. It’s exactly what we were looking for and more! Have been very pleased with the building staff — both the front desk as well as very prompt and professional maintenance staff. So far everything has been very positive. Everything at LINEA has been amazing! Great staff who’ve been very helpful and professional through the application and move in process, as well as with any questions along the way. Maintenance staff is quick to help and great to work with as well! Love th amenities and apartmen is overall so clean, modern, and wonderful to live in! Dream living in the heart of the city. Unparalleled amenities for a building this size. Linea is the reason I love living in Chicago - even in the snow!